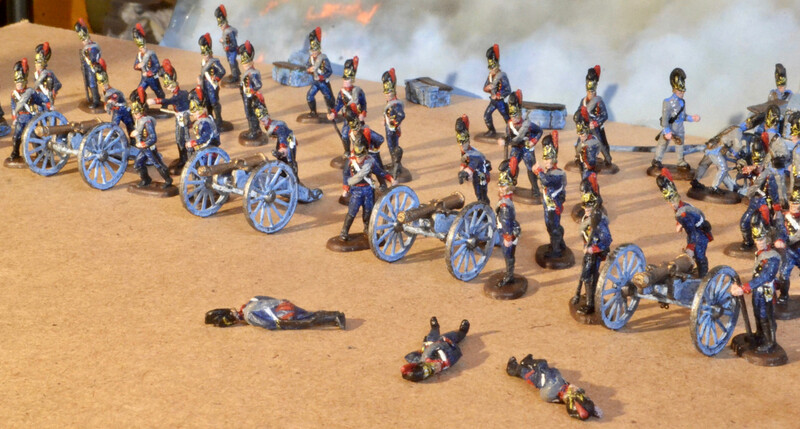 meanwhile I have worked and painted with the Haet set Bavarian Artillery which is a really nice set besides some flash (faces!) and simple gun carriages. 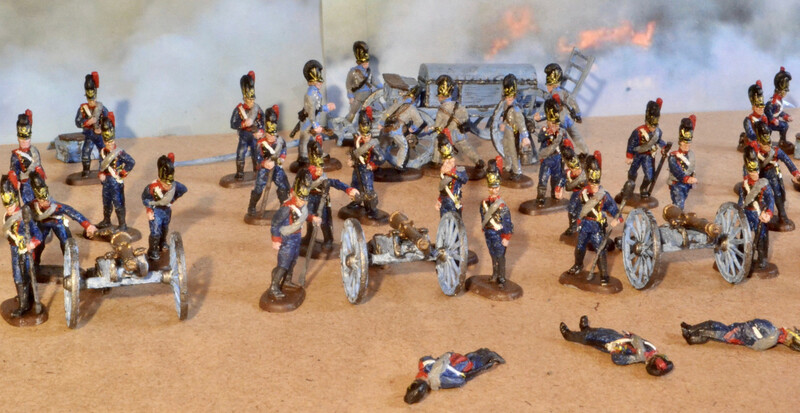 I have transformed these figures/carriages and also some figures from the other Haet Bavarian sets and the old Airfix set British Artillery to create a greater variety of postures and more vivid interactions. Very hard plastics or very soft plastics made this job quite hard. The ammunition wagon in the background is an old Fine Scale Factory-model which is eventually not already accurate painted. I presume that its cover has to be not light blue - probably light textille or brown leather? Who knows it? 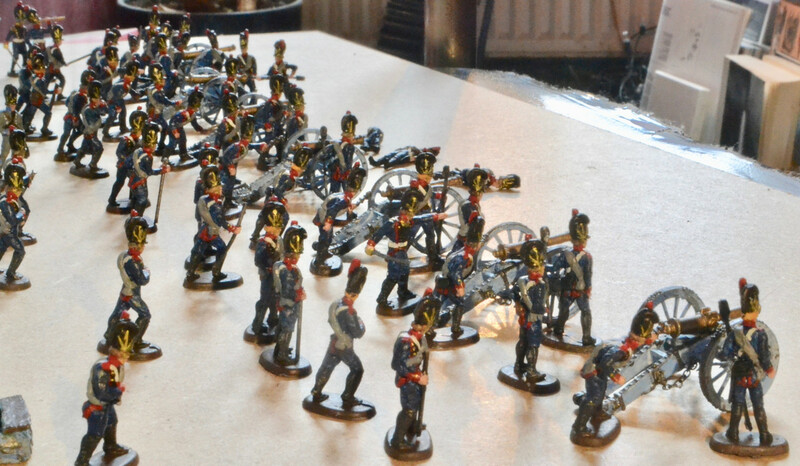 The figures will be later opposed to austrian forces in a diorama - added with the nice sets of Franznap manson wagons and artillery train riders. The first canon on the left end is already a Franznap 6-pound-canon. After some research I have taken the Knötel-sketch as model for my figures. The canon carriages are really in light blue - only the artificial light has caused the darker blue versions! wow! that's lot of stuff. I really look forward to the dio! 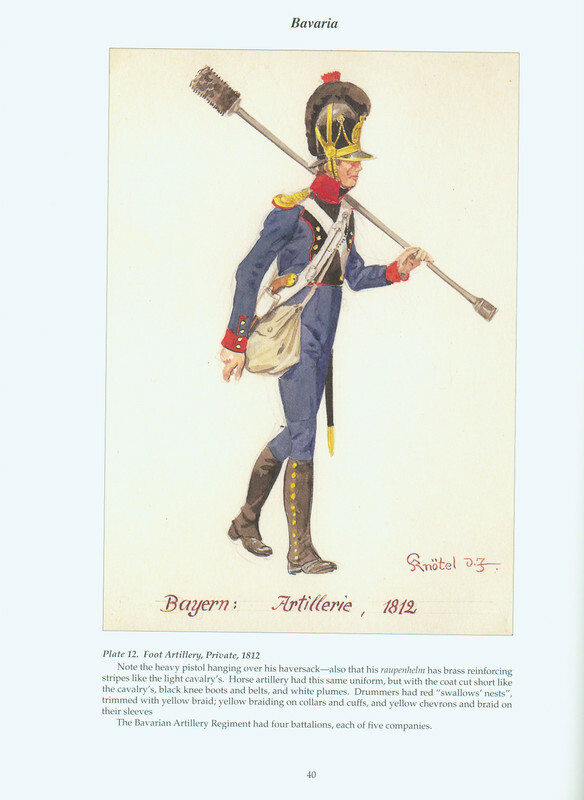 French ammunition caissons are typically painted olive green all over. This is the same equipment just painted a different colour. A really great display of a lot of very well painted figures. The highlighting is very nicely done. Your conversions must be very good and seamlessly done, because I wouldn't have known you'd used Airfix figures if you hadn't told me. Re. the ammunition caisson, I think the lids were wooden rather than canvas or leather so, as Fred says, painted the same colour as the rest of the wagon. Wooden construction, oil based paint and the domed or sloping shape combined to keep water away from the powder. Thanks a lot for your friendly comments. 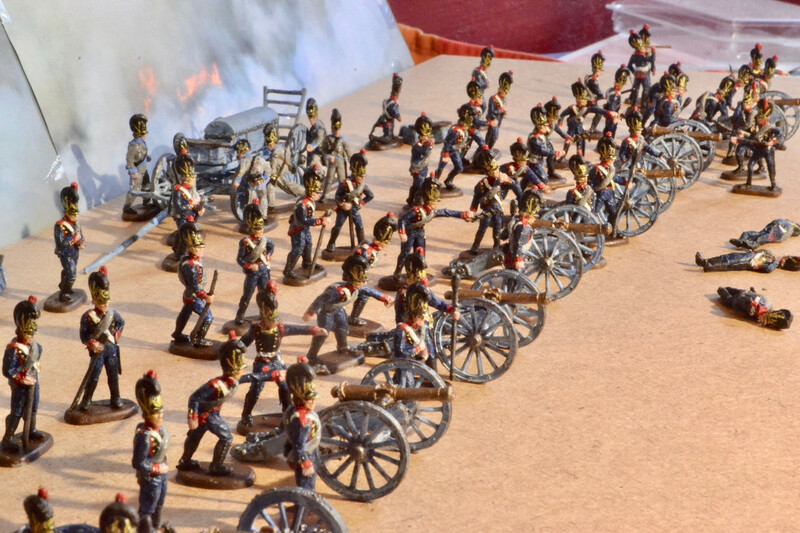 More than 90 % are Haet figures which I have cutted, re-constructed, added with much green stuff and some other materials - so the artillery set receives figures with fuse-sticks in different postures - Haet has forget to give them this important detail! 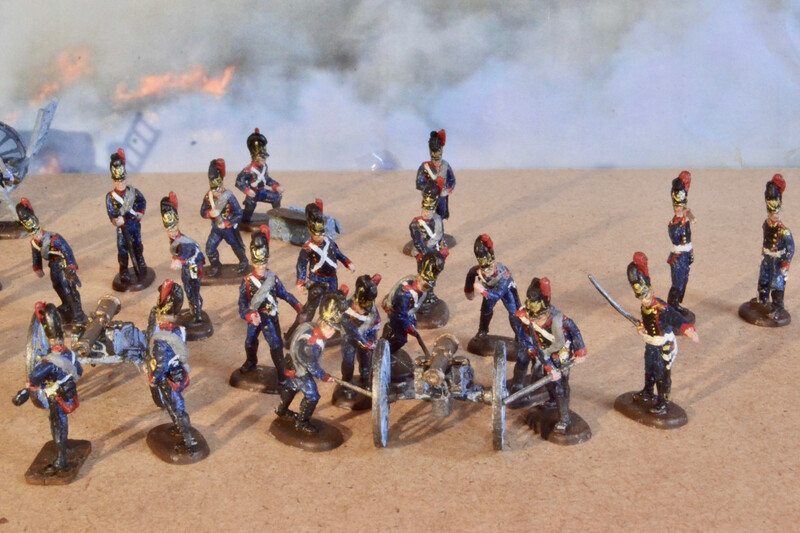 There are only 2 old Airfix and 1 Esci figure - the last is the officer with a telescope - which I have used too. The others were figures from other Haet sets.